Copyright 2002 Council on Foreign Relations, Inc.
Holy War, Inc.: Inside the Secret World of Osama bin Laden. BY PETER L. BERGEN. New York: Free Press, 2001, 300 pp. $ 26.00. The title makes a point: Osama bin Laden’s al Qaeda has the border-transcending reach of a multinational corporation with managerial skills to match. Holy War, Inc. is a first-rate account drawing on the author’s years of hard journalistic slogging. He has visited difficult places in dangerous times, interviewed scores of persons (bin Laden himself in 1997), combed media sources including the Internet, and shown a good grasp of relevant scholarly works. Bergen first describes bin Laden’s early life and family ties, his time in Sudan, and his cooperation with the Taliban. He then presents the larger network of bin Laden’s “secret world,” tracing al Qaeda’s links to the several thousand foreign Muslims — the “Afghan Arabs” — who came to Afghanistan during the 1980s to fight the Soviets. He also tells of the personnel and the modus operandi of different terrorist actions, including those against the World Trade Center in 1993, the American embassies in Nairobi and Dar es Salaam (1998), and the U.S.S. Cole (2000). 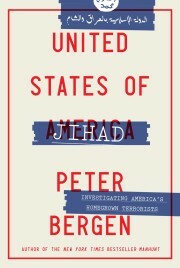 In a short afterword, Bergen argues that what bin Laden and his network are waging is closer to a “political war” against the American presence in the Middle East (and against its allies such as the Saudi government) than a “clash of civilizations.” Afghanistan’s Endless War: State Failure, Regional Politics, and the Rise of the Taliban. BY LARRY P. GOODSON. Seattle: University of Washington Press, 2001, 264 pp. $ 35.00 (paper, $ 22.50). After a good introductory chapter and a well-done short account of historical factors shaping Afghanistan, Goodson documents in eight stages the continual war from 1978 to early 2001. The detail of his periodization is daunting, but it brings out well the feudal reality of Afghanistan’s many warring factions. Later chapters treat the war’s impact on Afghan society over the last 23 years and fit that story into the regional and international context. The author depicts the Taliban as a “social movement and tribal militia running a country” and emphasizes that the terrible years since 1978 have brought death or injury to more than half of the country’s population. Completed before September 11, this book concludes that a military unification of Afghanistan, which the Taliban almost achieved, seems unlikely; restoring this failed state would require a difficult combination of leadership from within and support from outside. Policymakers wrestling with post-Taliban planning will find this sober interpretation of Afghanistan’s bleak recent history a useful guide. Central Asian Security: The New International Context. EDITED BY ROY ALLISON AND LENA JOHNSON. Washington: Brookings Institution Press, 2001, 279 pp. $ 22.95 (paper). Jihadi Groups, Nuclear Pakistan, and the New Great Game. BY M. EHSAN AHRARI. Carlyle: Strategic Studies Institute, 2001, 45 pp. Free of charge. Many Americans are still seeking to get straight the “stans” of Central Asia. The Brookings report helps to situate that region as an arena in international politics. Although it offers less focus on Central Asia and its five separate states as such — aside from an overview of common legacies and conflicts, Islam, and water rights — the book’s major contribution is a treatment of the Central Asia policies of Russia, the United States, China, Iran, and Turkey. The conclusion wrestles with scenarios projecting how regional stability might be achieved, given these many interested parties. Meanwhile, Ahrari provides useful sketches of the different Islamist radical groups in the region. The strength of his little book is its balanced account of all the many different state and nonstate actors, including not just the Taliban in Afghanistan and the Islamists in Pakistan, but groups to their north as well. Colonial Effects: The Making of National Identity in Jordan. BY JOSEPH A. MASSAD. New York: Columbia University Press, 2001, 396 pp. $ 49.50 (paper, $ 19.50). Jordan was created and shaped by colonial fiat, and a majority of its population — the Palestinians — now has roots beyond its borders. In tracing how Jordan has sought to build a nation-state on such a legacy, Massad offers not the usual political history but a study of legal changes and the use of the military for nation-building. In the process, he discusses diverse subjects from the effort to settle the Bedouin (and the simultaneous invention of a largely Bedouin Jordanian tradition) to tentative moves toward a more equal status for women. A penetrating study of Jordan’s long-time military commander, Glubb Pasha, is expanded to discuss military-state relations after Glubb’s dismissal in 1956. The author even touches on the role of sports, language, and cuisine in creating national identity. His conclusion sees not a settled Jordanian nationhood but an ongoing confrontation between “inclusivist” tendencies, which would embrace Jordanians of Palestinian origins, and “exclusivist” tendencies, which would not. The Israeli-Turkish Entente. BY EFRAIM INBAR. London: King’s College London Mediterranean Studies, 2001, 86 pp. $ 10.00 (paper). This model short study, dispassionate and comprehensive, does not waste a word. The common enemies, interests, and bonds with the United States of these two non-Arab states situated in a multi-polar Middle East have long offered the potential for a natural partnership. But the ties between the two were prudently low-key until recent years. Only since the 1990s have they moved to a more open “entente” built on military sales, military and intelligence cooperation, and increased commercial ties. Does this partnership make Israel and Turkey more secure? Does it foster stability in the Middle East? In classic balance-of-power terms, the answer to both questions depends on whether the “entente” is a bid for Turko-Israeli hegemony or an effort to keep regional rivals in check. The record thus far leans toward the latter. It is an “entente” more active and publicly avowed than in the past — but still prudently applied. Context and Circumstance: The Turkish Military and Politics. BY GARETH JENKINS. New York: Oxford University Press, 2001, 104 pp. $ 21.95 (paper). The military in Turkey is distinctive. Intervening four times to change governments since 1960, the military has always restored civilian rule — or at least hovered over civilian rule — to fix the limits of acceptable security policies in foreign affairs, defend secularism, and fight Kurdish separatism. Yet it remains more popular and respected than civilian politicians. Jenkins explains the institutional arrangements underpinning this approach to government and succinctly shows the foreign policy positions of the military regarding, inter alia, Greece, the European Union, Iran, Israel, and the United States. He also shows that Turkey is more circumspect regarding U.S. policies and motives than many Americans realize. A possible military withdrawal from politics, he concludes, will be gradual at best.